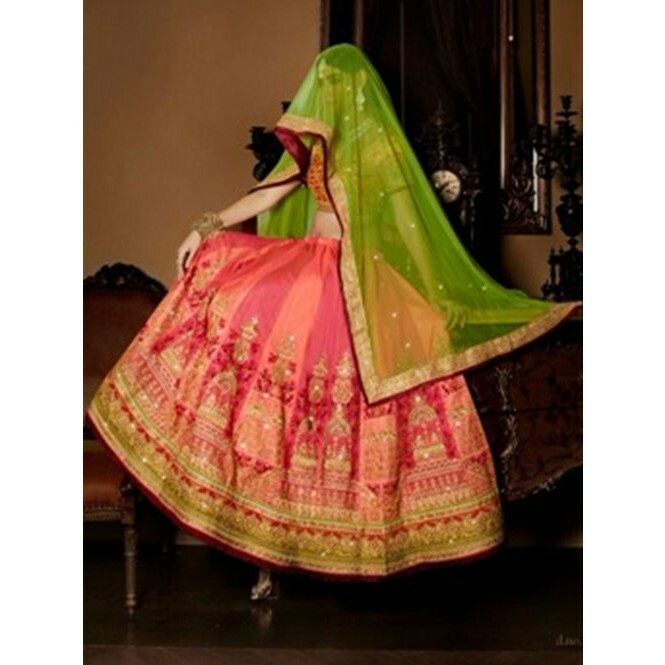 As sown the Maroon Colored Beautiful Heavy Embroidered Shahi Silk Lehenga Choli looks perfect in Wedding Season. The Maroon bottom(Lehanga) stares traditionally perfect. 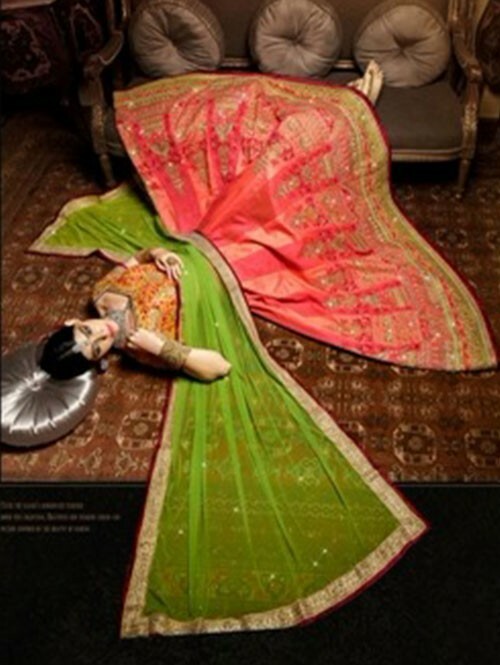 The bottom has heavy Embroidery and Zari work on Shahi Silk fabric. Additionally the diamond stone enhance your beauty. The Zari patch with stone marking you different. The inner Santoon layer adds its comfortableness for you. The Mustard Raw Silk blouse with Inner looks more beautiful with Mehandi Net Dupatta with diamond stone and lace on border work.